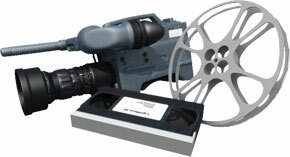 Our Deluxe video package utilizes any VHS, compact-VHS or Hi8 (8mm) tape and digitizes it through Cannon's DIGIC DV system. Your footage is then encoded for a DVD using Apple's professional Compressor application. Also included are chapters, a custom menu and a scene selection for your viewing convenience.